Whether it’s swashbuckling with pirates, learning to be a magician, being a princess for the afternoon or going on a jungle adventure, anything is possible with enough imagination and we are here to make your child’s dream celebration a reality. Let us take the stress out of planning a party so you can sit back,relax and enjoy the day. 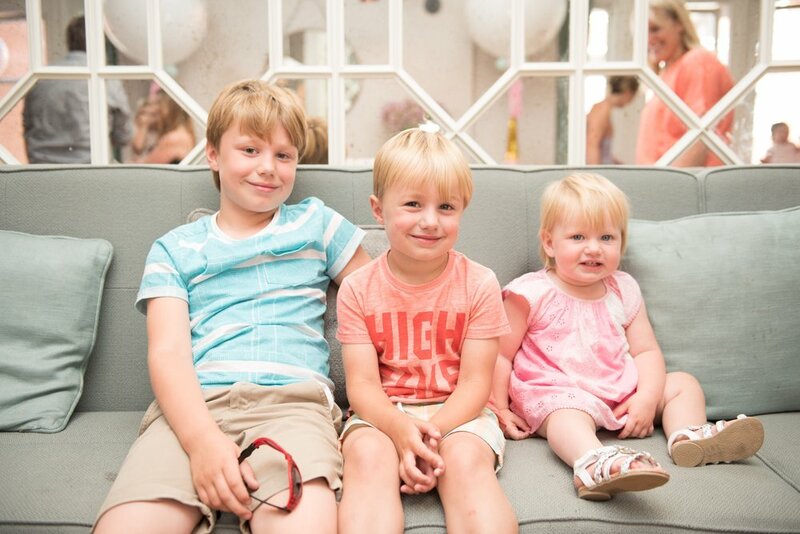 Over the years Bedazzled’s team of expert party planners has designed and managed hundreds of children’s parties across London and the South East. Whatever your budget, we can help with as much or as little as you need. From booking the perfect entertainer to planning from start to finish, our dedicated team of expert party planners are full of fantastic ideas to help turn your child’s dream party into a reality. Anything is possible with enough imagination. You may have a vision or chosen theme for your child’s birthday party, but if not, we will create one together. Bedazzled can design your party down to the finest detail, transforming any venue into your chosen theme. Themes can be incorporated across all elements of the party, from the invitations and party bags to the games and catering. Some example themes: Pirates, Princesses, Knights, Fairies, Disney, Superheros, Garden and Nature, Science and adventure, Vintage tea party, Wizardly Magic, Jungle Fun, Mermaid and Under the Water, Alice in Wonderland, Hungry Caterpillar, Mad Hatter Tea Party, In the Night Garden, Candy Land, Circus, Ninjago, Alien and Outer Space, Star Wars, Winter Wonderland, Halloween, Easter Egg Hunt, Wonker Party, Henri Le Worm, Pepper Pig, Drama and Dance, Football and activities. From themed characters, jugglers and face painters to balloon modellers and general entertainers who can host the entire party, our performers are well known for not only entertaining the children but the adults too! If you are looking to put on a show this summer or to add a little extra sparkle to the end of term this Christmas, Bedazzled Events is here to help. Whether you’re looking for an enchanting pantomime delivered by our professional performers, a themed pop-up grotto or an afternoon filled with Christmas fun, we’re on hand to tailor every detail to fit your chosen budget. After the success of 2017’s pantomime “The Enchanted Beanstalk”, 2018’s performance is already being planned and we can’t wait for Christmas! Dates are already selling fast so please contact us as soon as possible to secure your performance. “I just wanted to say how wonderful the pantomime was on Friday - we managed to sell out 2 showings and everyone enjoyed it, from the toddlers on knees, children from YrR to Yr6 to the grandparents”. Whether you’re looking to host a party in your own home or at a venue, we’re happy to help with as much or as little as you want. We work with some of the most exciting venues across London and the South East ranging from hotels and village halls to schools and football grounds. If you’re looking to throw an unforgettable event for a special mum-to-be, Bedazzled is here to help. From spectacular sweetie tables, themed games and decorations to the invites and flowers, our experienced team can help with as much or as little as you need.